LAKE WALES — About 8:30 a.m. Wednesday, participants in the Mall Walker program were getting their exercise by walking around Eagle Ridge Mall before its stores opened for business. Two men decided they would do their walking over to the Hershey Ice Cream Shop in the food court and help themselves, police said. What they didn’t realize was that while the shop wasn’t [yet] open for business, its security camera was, police said. Police identified the pair as Angus Blaze, 38, and Taijh Flash, 19, both of 325 Ninth St. W., Frostproof. They each were charged Friday with two counts of burglary and two counts of petty theft and booked into the Polk County Jail. Caught in full view of the security camera was Blaze entering the closed business and helping himself to an ice cream cone, according to police reports. Flash was seen on the video warning Blaze of another person approaching the food court, according to police. The two left, but apparently one cone wasn’t enough. The two men returned, re-entering the view of the camera, police said. Blaze removed a gallon tub of chocolate ice cream along with several ice cream cones from behind the camera with Flash again acting as lookout, police said. 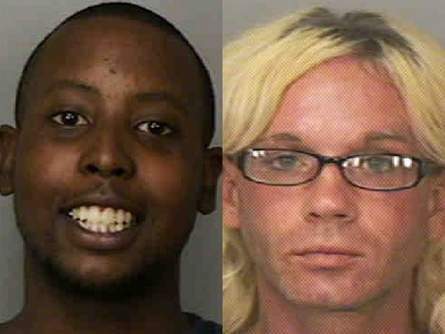 Police said the two men left on a Winter Haven Area Transit bus, the same bus on which they were arrested two days later after detectives said they had viewed the video and identified them. Deputy Jason Platt, 31, of the Polk County Sheriff’s Department, was suspended after an investigation found he violated department policies after a Burger King restaurant incorrectly filled his wife’s cheeseburger order. The incident happened the evening of March 7 when Platt’s wife, Tara Platt, received what she said was the wrong order at a Burger King in Lakeland. The store manager, Jennifer Oliver, said she tried to smooth over the dispute by offering Tara Platt a free meal. Platt refused and threatened to have police “straighten the matter out,” the report says. She then called her husband to tell him about her burger problem. The restaurant is outside the Sheriff’s Office jurisdiction, so Platt called Lakeland police officer Tammy Hathcock, a personal friend, and asked her to respond. Officer Hathcock arrived outside. While Platt was talking with her, the store manager asked for his name. He continued to talk with Hathcock without giving the manager his name, according to the investigative report. The manager took down his tag number. Hathcock refused to get involved in the situation. Platt, who was on duty at the time, was suspended for 16 hours after the Sheriff’s Office found he violated its policies prohibiting involvement in family-related disputes, exhibiting conduct unbecoming to a deputy and for refusing to give a Burger King manager his name. 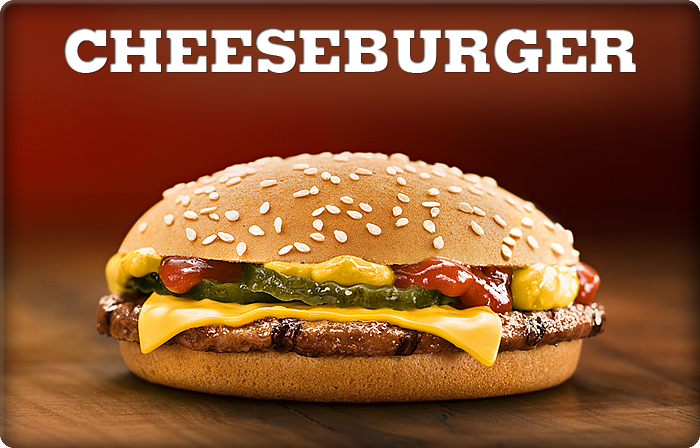 “I find it disturbing that a deputy sheriff would tarnish the image of the Polk County Sheriff’s Office by getting involved in a dispute over a cheeseburger order at Burger King,” wrote Platt’s commander, Capt. Kevin Widner. Tara Platt was later interviewed by the investigator and said she never asked her husband to come to the restaurant. Platt joined the Sheriff’s Office in August 2005 and earns about $41,000 annually. The suspension cost him about $315. He declined a request for comment. The Burger King manager also declined to comment.